I like to leave sweet little notes for Anderson every once in a while. Usually they are scribbled on the back of a target receipt and say something along the lines of "Please take out the trash - it smells like dirty diaper in the kitchen. Love you! :)" See, what makes that a love note is the "Love you, smiley face." I nailed it with the smiley face. 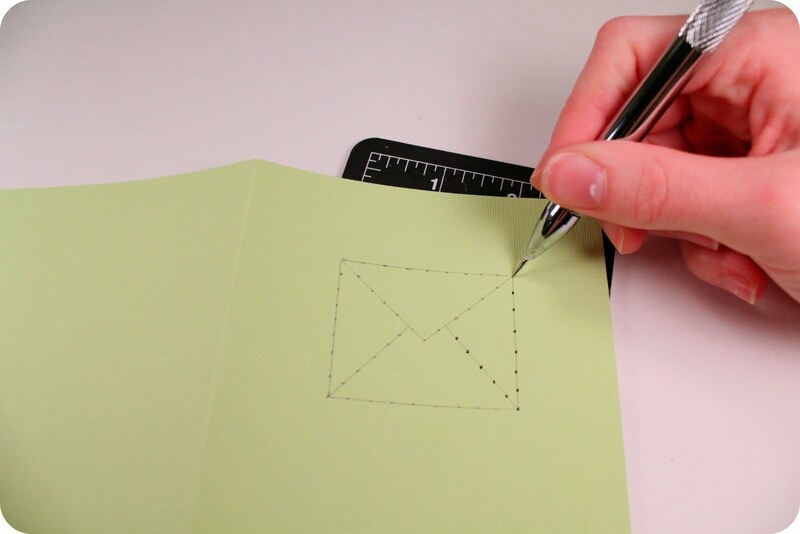 Start by making a pattern on the front of your card. 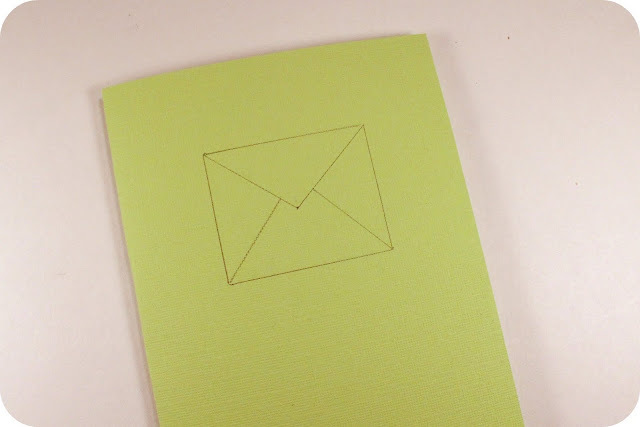 For this card, I traced a rectangle onto the paper and drew in the envelope lines. 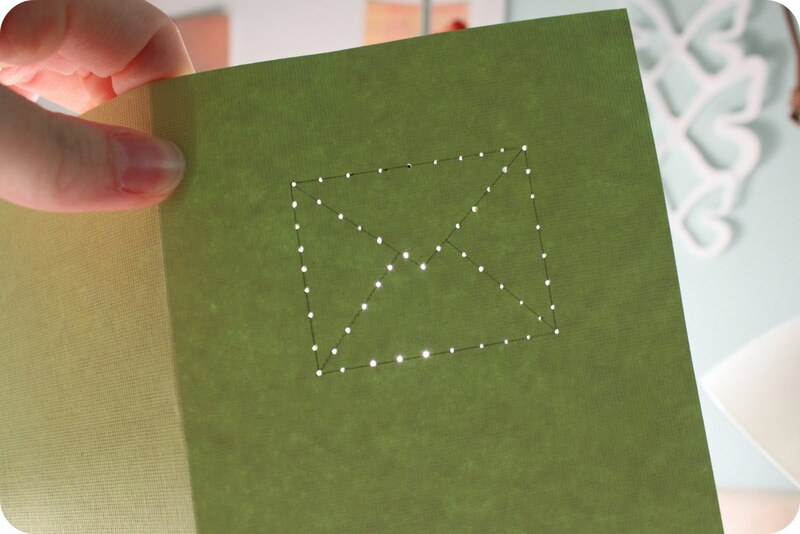 I used a paper piercing tool to punch holes on the envelope outline. 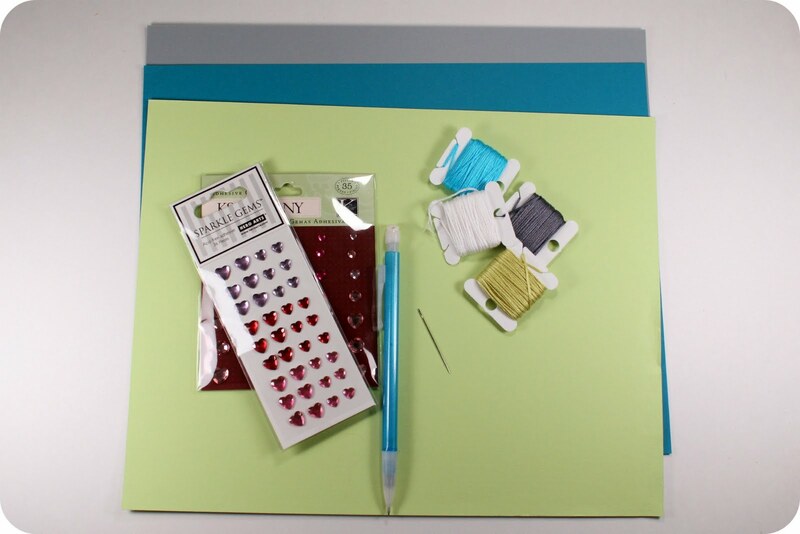 All punched and ready to stitch. I used a simple back stitch around the outline. 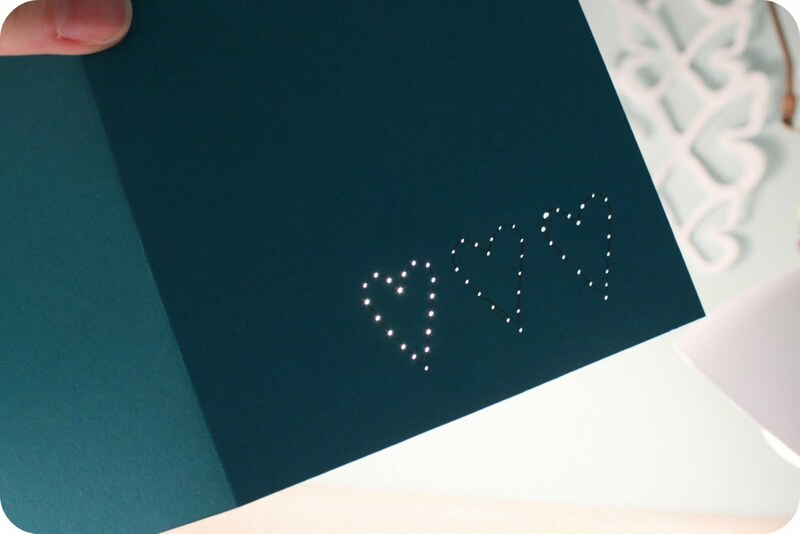 My original idea was to put a little heart jewel on the stitched envelope. 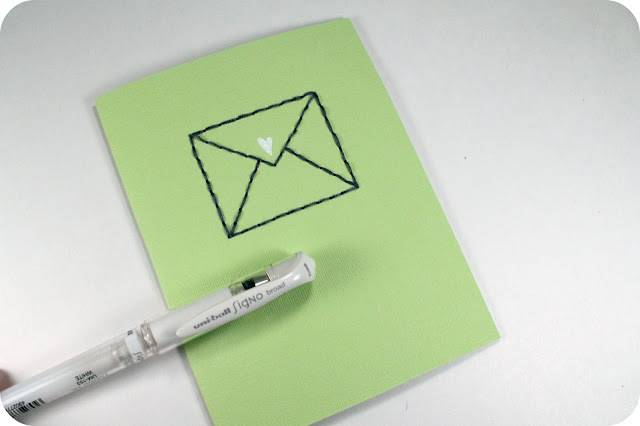 I tried it and didn't like it, so I used a white gel pen to draw a little heart on instead. I think it was just the touch this card needed. 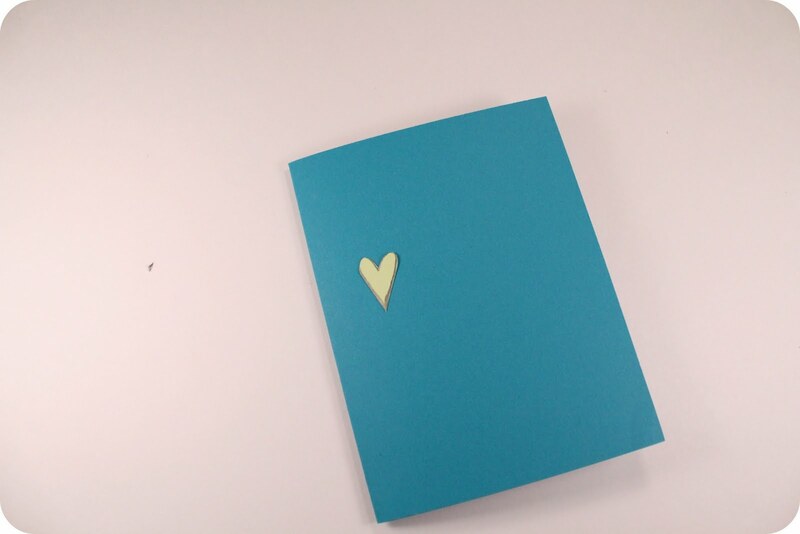 I followed the same process for the heart card. I love the three hearts with one being a different color. Since I have already shown you the process a couple of times, I didn't photograph the process for the XOXO card. However, I think it is my favorite. I love the grey with the mutli-colored letters. This kind of card can be done by anyone! No expensive tools and minimal supplies. Hate love notes? Prefer Target receipts? 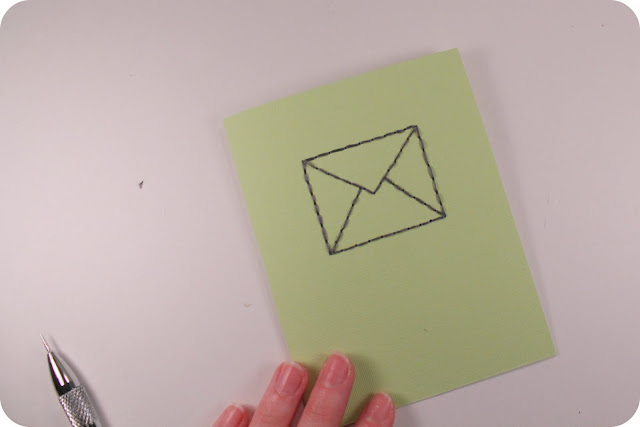 Fine with me - try a simple hello card. I would love to see some of you take this idea and make it your own! If you do try this (or any other card), don't forget to link up! OMGoodness! That is so cute!! so cute! love these...will definitely try out this idea! thanks for sharing! These are so adorable. Great to have on hand! 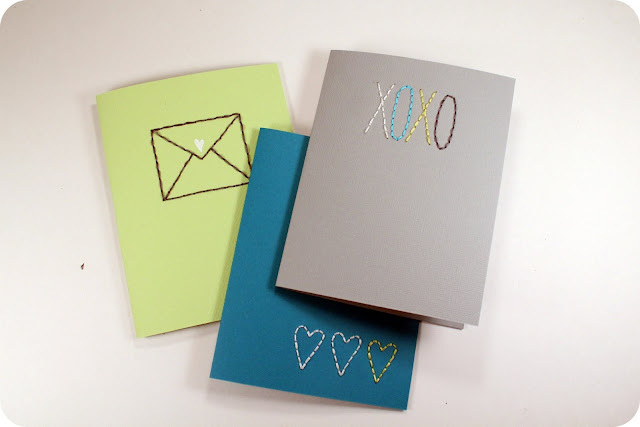 Simple yet adorable designs! This technique would also look great in a scrapbooks. The clean stitch design would definitely flood any art project with creativity! Two thumbs up! LOVE your cards :) The XOXO one is also my favourite. And you've inspired me. I bought an envelope punch on a whim and went wild the first couple of days because I have a thing where I leave notes for people but now I'm out of ideas. Oh girl, I sure like you . . . that love note was superb--you totally nailed it. Those cards are adorable! 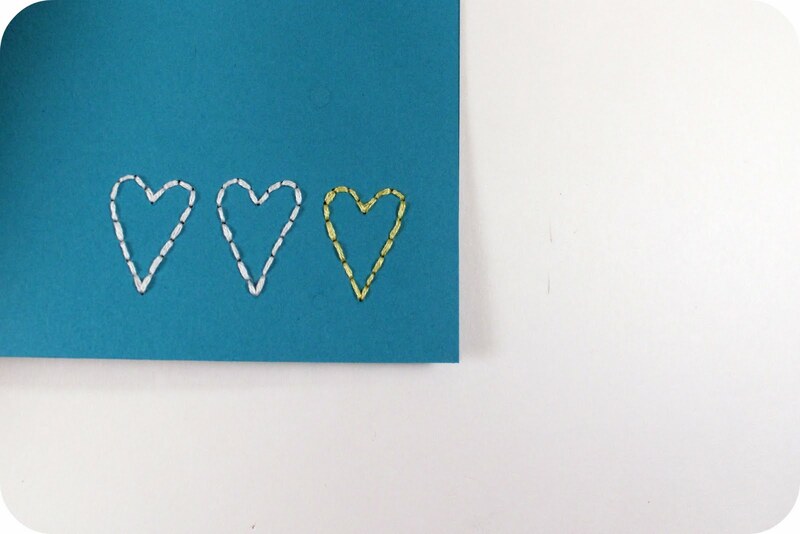 I think the 3 hearts one is my favorite--so simple but fun! Do you just tie a knot on the inside? Or do you have secret for hiding the end? Thanks! Love the idea! 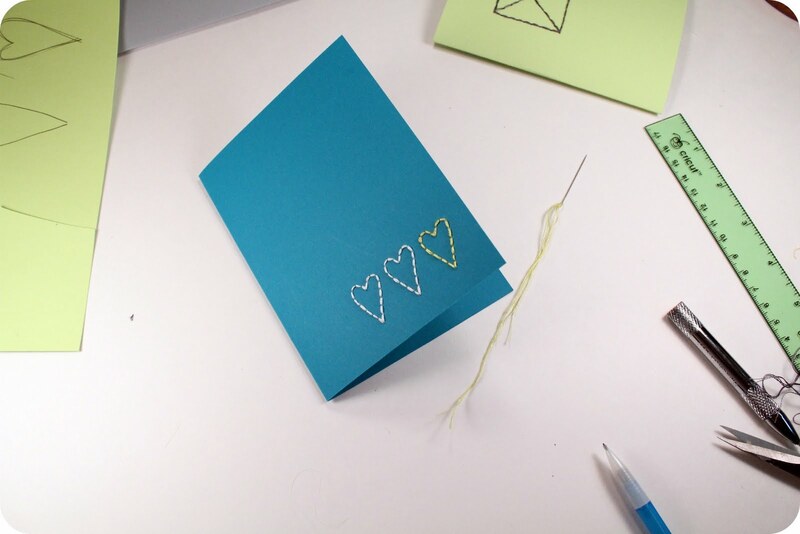 I love stitched cards but I usually do them with my sewing machine but I love the look of these! super cute! I need to try this! I am so making these! 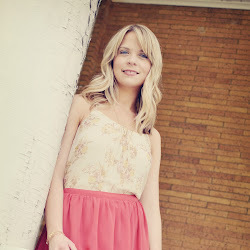 LOVE the simplicity and the stitched look! I have done this in my scrapbooking pages but never thought to make cards... hello! Brilliant! Thanks for sharing!